A Social Union cannot just mean more EU level legislation, as it cannot purely be built through more policy coordination or through budgetary instruments either. All three arms of governance have to play a role and in due coordination. László Andor writes. 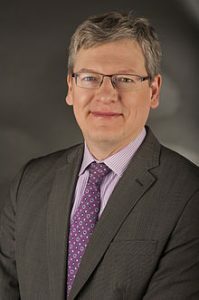 László Andor is a Hungarian economist. From 2010-2014 he was Commissioner for Employment, Social Affairs and Inclusion in the Barroso II administration of the European Commission. He currently teaches at the IEE-ULB in the Specialized Master in Interdicisplinary EU Studies. 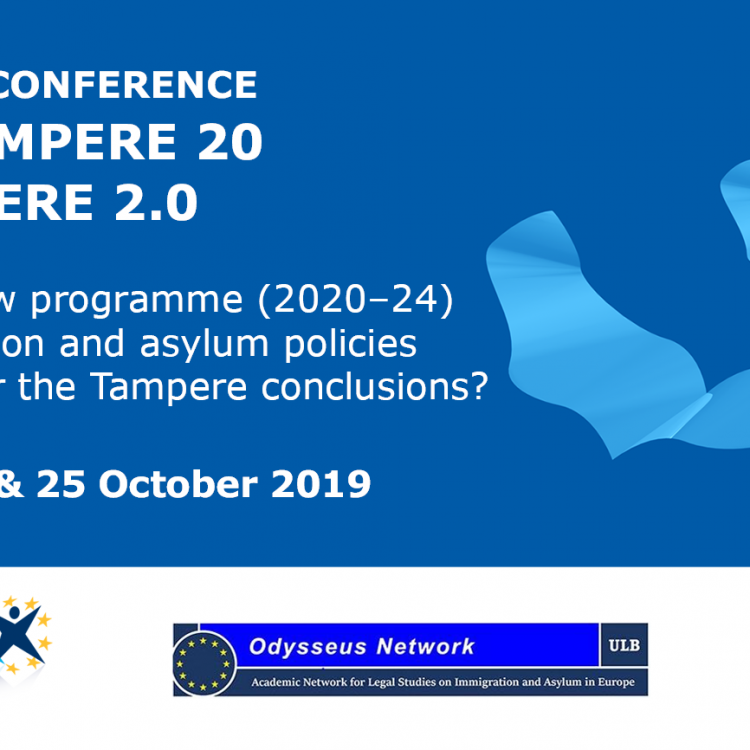 The call for discussion by Maurizio Ferrera and Frank Vandenbroucke on the program of a European Social Union could not be more timely. The forthcoming European Parliament elections will again sharpen debates about the mission of the EU, while the economic slowdown is bound to revive memories of a recent euro area crisis which threatened Europe with multiple disintegration. Today the EU is in a post-crisis period and has to prepare for a post-Brexit era. It still has to heal the wounds of the financial and economic crisis, while ensuring that no other nation believes that it is easier to find solutions to its problems outside than inside. On the other hand, Brexit also means that the country that has been least committed to the EU social dimension is leaving the Union. In previous years, British governments have used every opportunity to block the creation of a more social Europe. But once they are not part of the EU anymore, other countries can move much more freely towards deeper integration. – if they really want to. Such an intention, however, cannot be taken for granted. In recent years, the reluctance of Member States to deepen the social dimension of the EU has been attributed to a variety of reasons. One is the case of high income – high social standard countries (e.g. Sweden, Austria) where a more social EU raises the fear of downward adjustment of social standards. The second is the opposition from politicians who consider social policy a threat to economic competitiveness (Orbán et.al.). Third, there are the countries that went through economic hardship and divergence (Spain, Italy) and may fear that more EU social policy would bring more conditionalities and sanctions when compliance with the existing ones have already been rather demanding. A fourth concern is that any further development of a social agenda leads to a higher common budget, against which any Dutch government at any moment of the day is ready to assemble a rainbow coalition. Therefore, why exactly a deepening of the EU social dimension is needed and what it can mean should be explored and explained carefully. A contemporary debate has to start from a look back to the origins of Social Europe. The social agenda of the EU went through an evolution in the last 30 years. What concerns systemic construction, the 1989 Community Charter of the Fundamental Social Rights of Workers is a crucial landmark. Former European Commission President Jacques Delors knew that the Single Market would not gain public support without a social dimension. He, therefore, made it acceptable to working people by launching a cycle of social policy legislation, devoting a large share of the EU budget to Cohesion Policy and establishing EU level dialogue between employers and trade unions (‘social dialogue’). This ‘Delors Compact’ was later supplemented by the Lisbon Strategy (2000), and its “2nd edition” called Europe 2020 (2010). However, the Lisbon Strategy should not be seen as just another element of Delors’ Social Compact. It was also a progressive answer to the obsession of the Maastricht model of Economic and Monetary Union (EMU) with nominal convergence (low deficits and low inflation) and the indifference of that to the social costs. The late 1990s produced the EU’s Employment Strategy together with the endeavour to reconcile the economic mechanism of the single market and single currency with the European Social Model. Various views exist about the success or failure of the Lisbon Strategy, but its main stakeholders keep the Open Method of Coordination it created in high esteem, and the various programmatic elements like life-long learning continue to enjoy support. Europe’s progress since is measurable in areas like Occupational Safety and Health as well as female participation in the labour market. The enlargement of the EU to the east raised questions about the feasibility of Social Europe, since it created a geographical divide in Europe in terms of productivity and wage levels. Rounds of enlargements have made the EU much more imbalanced and heterogeneous as compared to its predecessor, the European Economic Community, which in itself can be seen as an obstacle to a deep social dimension whether it requires more common legislation or common funds (see Matsaganis 2018). The good news is that there is economic convergence between East and West. However, those who believe that all problems in the East will be slowly resolved by experiencing higher than average GDP growth need to look beyond the GDP growth figures and see gaps in health conditions, life expectancy and in particular, the extraordinary population decline experienced in Eastern Member States and especially the more Eastern regions of those. Economic convergence seems to be happening simultaneously with divergence regarding political values and social models. Therefore, the EU has to make efforts to ensure that economic growth in the East is sustained and is coupled with convergence in terms of political and social policy standards. In the long run, this is the real solution to the problem of social dumping, which has been the main focus of legislative activity in the past decade. The East-West divide is often exposed through controversies around labour mobility. Upholding the right to free movement and to ensure equal treatment for mobile workers remains a pivotal issue. But today in this context a key question is how the peripheral regions (mainly the eastern ones) can rebuild human capital, which is being lost through constant migration towards the West. Besides, the EU must remain active in addressing the situation of Roma and promote integration, which is arguably Europe’s biggest social challenge today. What killed social convergence in the past decade, leading to dramatic disparities between North and South in terms of unemployment and poverty levels, was the Eurozone crisis. To quote Hemerijck (2018), “the Eurozone crisis critically exposed the naïve policy theory-in-use of deepening European economic inter-dependence without an adequate safety net”. High youth unemployment rates in Spain and high NEET rates in Italy are not entirely new, but the 2011-3 period saw a dramatic rise in such indicators, leaving behind a bad social and political legacy. The incapacity of Greece to deal with the social consequences of the banking and fiscal crises was even more striking, with an extraordinary rise in income inequality and material deprivation. Supportive efforts like helping to build a social economy sector or establish a minimum income scheme could only come as too little and too late. Since the economic recovery has started, many (in particular from the centre-right political circles) believe that no further action is needed to improve the functioning of the EMU, and some do not care at all about its social dimension. This is, however, nothing but a recipe for repeating the disasters of 2011-3. The North-South imbalance still requires adequate treatment. This is primarily about an EMU reform, but that can only be properly calibrated and sequenced if the social dimension is taken into account. Preventing core-periphery divergence in the euro area thus primarily requires a proper stabilisation capacity (e.g. unemployment insurance) while restoring convergence necessitates an EU strategy to develop and maintain social investment models in the peripheral regions. In recent years, reflections about the reconstruction of the EU and its social model have been overshadowed by the UK referendum about EU membership and the highly complicated procedures it triggered. While ensuring that the UK leaves the EU with the smallest damage on both sides, we also have an opportunity to explore the causes of Brexit, including the social ones. The usual clichés do not help and need to be dropped. The fact that benefits of the single market do not automatically trickle down to disadvantaged regions and social groups played a major role in the 2016 referendum result in the UK. English people outside metropolitan areas felt disenfranchised politically and economically, while UKIP, reinforced by egocentric Tory politicians, ensured that their frustration is directed to Brussels instead of London and in particular Westminster. Contrary to UKIP stereotypes, British people did not experience a « too social » EU, but the opposite, thanks to UK governments that refrained from taking advantage of EU funding tools. The UK could have used the European Social Fund (ESF) to help municipalities facing migration pressures but did not. The UK could have used the European Globalisation Adjustment Fund (EGF) when major producers were downsizing, but the government decided against it. The UK could have used the European Fund for the Most Deprived (now called FEAD) to boost the capacity of the food banks, but it did not in order to avoid that the more caring side of the EU would become visible in Britain. This UK government attitude contributed to the alienation of many British people from the EU, and eventually to the victory of the Leave vote as well. Consequently, the real lessons of Brexit actually support the progressive arguments about the need for tackling imbalances and inequality collectively in the EU and for stronger common instruments in favour of economic, social and territorial cohesion. Imbalances among and inequality within countries of the EU that have been sources of instability and disintegration in Europe call for progressive analysis as well as EU solidarity in practice supported by concrete fiscal competencies and capacities. As Brexit recently highlighted, the perceived inability of the EU to address global trends – such as deindustrialisation or migration flows – may suffice for jeopardising the whole EU integration project. 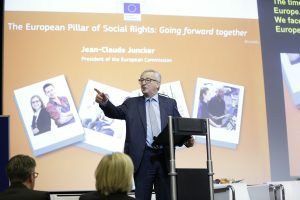 The recent exercise to establish a European Pillar of Social Rights (EPSR), together with the confirmation of the importance of the social dialogue by the current Commission President Jean-Claude Juncker, revives key components of the original ‘Delors Compact’. However, any meaningful development of the social agenda today depends on facing two major developments that have taken place since Delors’ Presidency: the eastward enlargement of the EU and the eurozone crisis. Hence a return to the spirit of 1989 and incremental legislative improvements may not be sufficient in today’s EU. A quantum leap must happen and the EPSR, which was endorsed by EU leaders in November 2017 in Gothenburg (Sweden), is only an overture to that. The EPSR, although it has functioned primarily as an ideological debate, achieved a major step forward by incorporating into the concept of the European social agenda the questions of the welfare state. The three-chapter approach of the EPSR, and in particular its third chapter, should be compared to the original construct of the late 1980s and the subsequent legislative cycles that practically identified social policy with coordination in the area of employment and legislation in the area of working conditions in particular. In addition, the long consultation about the content also helped to bring stakeholders into an alliance for the implementation. For some, it also represents a welcome shift from a technocratic to a more political approach to Social Europe. While making such steps forward, the focus on the EPSR in recent years also meant steps backwards on various accounts. First of all, it represented a political withdrawal from the objectives, including numerical targets, of the Europe 2020 Strategy. This has never been officially cancelled, but it has not received the same amount of political attention in the last four years as before, and its guiding role for both the EU budget and the European Semester has diminished. The focus on the EPSR also allowed for a withdrawal from the social investment paradigm which was rolled out in an emblematic document of the previous cycle, the 2013 Social Investment Package. The SIP delivered important guidance regarding the fight against child poverty, and homelessness, and stressed that without adequate resources, social rights remain illusory. Third, the EPSR focus also sidelined the work on the social dimension of the EMU, only to rediscover and recycle the scoreboard of the 2013 October Commission communication which is the necessary tool to demonstrate social divergence between the core and the periphery of the euro area. While social policy has been perceived as a side issue at EU level, very important work has been done to consolidate social policy coordination at the heart of economic governance, i.e. within the so-called European Semester. First, it was ensured in 2010 that employment and social policy plays a part in this new coordination method, and then the share and weight of social analysis and recommendations gradually increased (see Zeitlin and Vanhercke 2017). The socialisation of the European Semester required an updated paradigm which was delivered by important policy documents in the 2012-3 period: the Employment Package, the Youth Employment Package, the Social Investment Package and the White Paper on Pensions. These policy documents helped to generate specific recommendations to Member States in order to address the social consequences of the crisis but also to tackle structural problems. Perhaps the most significant such item was the EU Youth Guarantee scheme which was modelled on existing schemes and launched with additional financial support from the EU budget. Subsequently, the Youth Guarantee became an inspiration for the EU policy on long-term unemployment, but also a parliamentary initiative for an EU Child Guarantee. The story of the Youth Guarantee demonstrates that Europe’s social acquis does not only require occasional maintenance but it also allows for incremental amendments. In this vein, the functioning of the Single Market and EMU could be improved by new ‘social standards’ (applicable across the Union) or ‘national social floors’ (with levels adapted per country). Whether the European Semester is the best channel for policy coordination and innovation has been and will continue to be discussed. Experts are ambivalent about the co-existence of economic and social policies in the Semester, and the effectiveness of implementation has also been put in question. The social dimension of the EU budget appears to be an underestimated area. This is perhaps because of the low expectations towards the EU in the area of social policy in general, and also because of the bias for legislative instruments in the EU social policy toolkit. However, if it is explained where and how the EU funding connects with human capital investment within the member states, its role and significance can be better understood. Within national budgets, broadly defined welfare expenditures amount to around 40 per cent of the total expenditures. Out of this category, narrowly defined social protection budgets receive about one third. Needless to say, the EU budget can never rival or centralise these budgetary components. However, the social compartment of the EU budget can and does provide vital contributions to social assistance and social investment programs within the member states, which also function as incentives for reforming employment and social policies and designing more effective programs on the ground. In many countries, workforce training largely depends on funding from the European Social Fund (ESF). Hence reaching the common social policy goals does not only depend on the effective implementation of EU law but also the capacity to concentrate financial resources and invest them closely aligned on long-term goals. The endowment and regulation of the ESF is a crucial question. In the MFF proposal for 2021-2027, the Commission maintains the principle that the allocation of the ESF has to be defined at EU level, in order to avoid that member state governments driven by short-term considerations reduce human capital investment. In the current period, this function was implemented by an EU wide minimum share within Cohesion Policy (23.1 per cent), while post-2020 it would be an absolute number. Due to the merger of some smaller funds with the ESF, this number would be higher than EUR 100 bn and there is also a new name: “ESF+”. Besides, the Commission also confirms that within the ESF, a defined threshold should protect expenditures related to social integration. In order to ensure that ESF is not only a fund that serves the labour market but also the fight against poverty and social exclusion within the member states, the threshold would increase from the current 20 per cent to 30 per cent. On the other hand, political attention is required not only when the size of such an envelope is defined but also how programs are designed, implemented and audited. There have been many examples where money has been allocated for an important social objective, e.g. Roma integration, and then it was difficult to trace where it actually went. Without too much limelight, the social compartment of the EU budget does connect with the needs and expectations of EU citizens. Ferrera (2018) reminds us that opinion surveys practically everywhere find strong support a greater concentration of resources with the purpose of more robust social policies. Popular support for “a larger EU budget aimed at promoting economic and social investments, for helping people in severe poverty and for providing financial help to member states experiencing a rise in unemployment” has majority support in EU countries with larger populations (Spain, France, Italy, Germany, Poland) but also in smaller ones. A fiscal capacity for the Social Union can thus count on the support of European citizens, as long as the tools and mechanisms to be established are deemed transparent as well as effective. But how big an increase would be supported by experts, citizens and government elites can differ greatly. Thomas Piketty (2018) and his co-signatories are calling for a quadrupling of the EU budget in order to allow the EU to play a greater role in the reduction of inequality within countries. This sounds like a major quantitative shift, but it also would mean a qualitative shift since where the EU budget plays some role in redistribution it is between and not within Member States. A paradigm shift is primarily a question of new tools as opposed to much greater volumes. The recent financial crisis caused such a great social damage primarily because of the inherent bias of the current model of the monetary union for internal devaluation at the time of crises. The root cause, therefore, can be found in the design flaws of the EMU rather than the lack of social policy. The Maastricht model of the EMU was not sufficiently “Economic”, and it is definitely not “Social”. Since 2012, a number of reform steps have been made (two pillars of the Banking Union, a permanent ESM even if outside the Community framework etc.) but the reform process itself is also incomplete. There is a long list of outstanding reform elements – from creating deposit insurance and safe assets to amending the mandate of the ECB. Making steps towards a Fiscal Union and establishing at least some fiscal capacity has been much talked about in recent years. Existing monetary unions all serve with examples of automatic stabilisers. As Vandenbroucke (2018) explains, in fact, all monetary unions are also insurance unions, which also self-evidently cover unemployment. A basic European unemployment insurance scheme, serving to partially pool the fiscal costs of cyclical unemployment, has been promoted by Sebastian Dullien (2017)among others as a possible automatic stabiliser at the EMU level. Such a tool would make a direct link between reducing imbalances in GDP growth and helping the innocent victims of recessions and financial crises. It would help uphold aggregate demand during asymmetric cyclical downturns and provide a safety net to national welfare systems. Various models of unemployment have been studied by economic analysts. Together with a genuine unemployment benefit scheme, in which some 250 million employees would enter a risk community, reinsurance mechanisms have also been considered. If well-designed, a re-insurance scheme could also function well, and in addition, it could be more politically feasible. A fair, rules-based and predictable transfer mechanism at the EMU level will have to be acceptable also for the ‘surplus countries’, in order to stabilise the single currency economically, socially and politically. Adopting an insurance model will increase the chance of agreement: positions have indeed become significantly closer since German finance minister Olaf Scholz started to advocate such a scheme. Arguably, this is the highway that would lead us to a more resilient economic model and a higher level of social cohesion at the same time. Europe must develop further its social models and the EU level coordination of those while knowing that the post-2008 financial and economic crisis was primarily a product of the business model and not the social model. The efforts to reform the business model, however, have also to take into account social responsibility, employee well-being and participation. 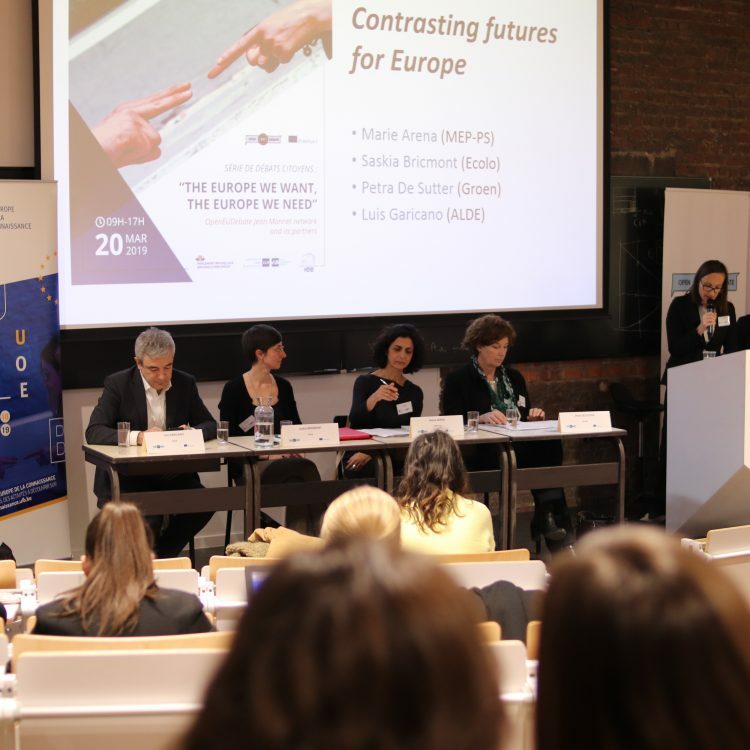 Building on the concept of social rights and the new focus around those in the context of the EPSR more can be done to help European companies to adapt their business models towards better social and environmental impact. First, employee share ownership and other forms of employees’ financial participation in their companies could be promoted in order to broaden capital ownership. European legislation and related practical tools could be particularly useful in promoting employee co-ownership of companies operating in more than one national jurisdiction. Second, the EU could further promote the application of metrics that evaluate companies’ social and environmental impact: many useful methodologies and reporting standards exist and the challenge now is to work with the financial sector to promote their wide use. Third, cooperation and learning between social enterprises across countries could be strengthened, also with support from EU funds. A lot will also depend on what use national and regional authorities make of their Structural Fund allocations and whether they develop financial instruments that can support start-up and development of social enterprises (and continue to develop such instruments for microfinance). A socialisation of the EU’s investment strategy is a further opportunity that should not be overlooked, including in ongoing MFF debates. Wages and wage setting represent an area where the EU has no direct competences but in various ways, the issue has gradually come under EU influence too. Most importantly, the EU crisis response brought pressure towards a decentralisation of wage-setting mechanisms, a disruption of pre-crisis collective agreements, and a downward adjustment of the minimum wage, in programme countries in particular. This came in addition to a longer-term trend of a declining wage share in a number of countries. In order to counter such negative trends, a campaign has been launched for a European Wage Alliance. How to facilitate upward wage convergence is the central question of the campaign, and some concrete proposals have already been outlined. For example, an agreement could be sought on a guaranteed wage floor in each country, based upon a coordinated approach towards minimum wages at EU level and ensuring that the levels are set above the poverty threshold and represent decent pay for the work undertaken. Guaranteed national minimum wages would help sustain internal demand while also improving the situation of posted workers and helping to fight social dumping. Second, a guaranteed minimum income (at different levels per country) could be an effective way of ensuring adequate income support and fighting poverty while providing for activation incentives where relevant. Such a ‘national social floor’ would also indirectly define the minimum performance expected from national automatic fiscal stabilisers in times of economic crisis. A 21st century EU social agenda must address new issues like the impact of digitalisation and robotisation on labour, especially for what concerns the effects of technological change on working conditions and income inequality. On jobs, skills and social security, the new Jobs Strategy of the OECD offers fresh analysis as well as guidance. While constantly updating EU social policy, in cooperation with stakeholders and various international partners, is an important task, it also remains important to reconcile economics with our social policy objectives, and monitor the social dimension of all EU policy areas and tools, from trade to competition. However, the critical question today is whether the EU can also provide material support to its member states and regions in a systematic way to meet common social standards and achieve commonly agreed goals. This brings us to the most essential questions regarding the concept of a Social Union, which is the material base for it. As Vandenbroucke very importantly underlines: “A European Social Union is not a European Welfare State: it is a union of national welfare states, with different historical legacies and institutions.” However, since the functioning of the EU, and of economic governance, in particular, has massive consequences over national industrial relations and welfare systems, mainly through their fiscal base, there is a need for an EU safety net for the safety nets of the Member States. A Social Union cannot just mean more EU level legislation, as it cannot purely be built through more policy coordination or through budgetary instruments either. All three arms of governance have to play a role and in due coordination. There are a number of components around, and the time has come for a new architecture. The ESU would represent “a fully-fledged institutional counterpart” (Ferrera 2018) to the EMU, and it can be built by using many existing and some new building blocks. Reports of the death of the European Social Model during and after the crisis were greatly exaggerated. Obituaries are premature, even if one cannot stress enough that the social fallout of the crisis, and of the crisis response in the so-called program countries, is a European drama and EU responsibility. The EU does not only have a much talked about democratic deficit but also a much less talked about social deficit. And the Eurozone crisis deepened both. It became questionable that the functioning of the EMU can be reconciled with democratic procedures within Member States, and whether it represents a mortal threat to welfare states on the Eurozone periphery. Social integration in Europe has always followed economic with a delay and on a much weaker legal footing. The gap has widened again which also contributes to the decline of confidence in the EU in times of crises. The EPSR can still turn out to be the game changer to launch a round of actions addressing the social deficit. If its components are well designed and work together in concert, the move to a Social Union can bring benefits to all. Countries with higher standards will not need to fear downward convergence, and countries that need to catch up can be confident that their economic development will also be coupled with social development. Progressive change is possible within the framework of the existing Treaty. Where better functioning required new tools or tighter coordination, progress has been possible in various fields even without a federalist momentum. Financial and economic governance has been deepened in recent years but this has to be followed up with more robust social governance with a focus on rights as well as outcomes. 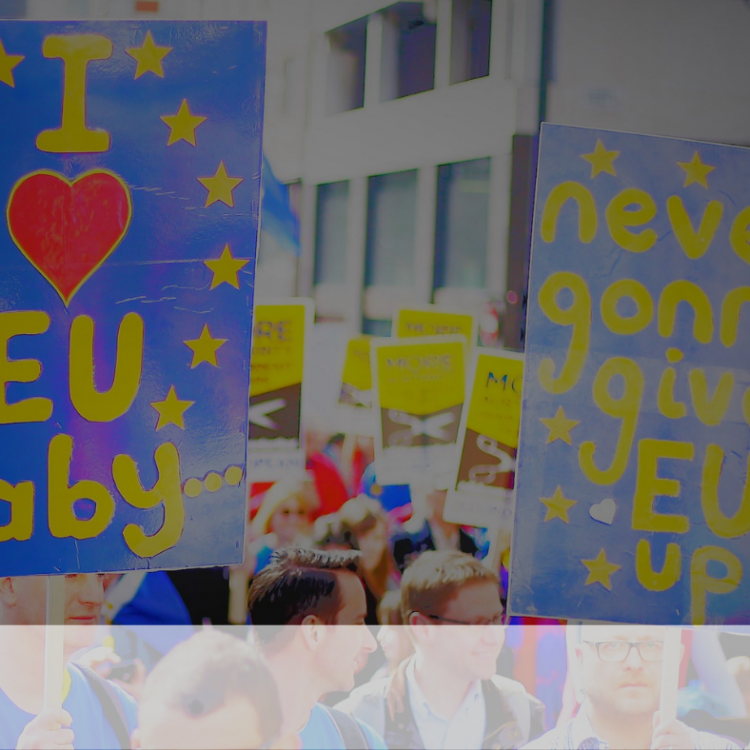 Popular support may be lacking for a United States of Europe but, with the right arguments, it can be built up in favour of a Social Union.